When you need plumbing, heating, cooling, or electrical services in the Boulder or Denver regions, you can count on the 30 years of expertise and great service you receive from precision plumbing. 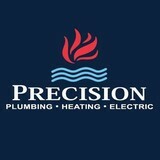 Precision’s technicians can be at your home, on-time, at your convenience. When you need service, you can depend on us to be there. We have only the best professionals technicians and are fully licensed and insured. You can be sure of presentable and tidy technicians who will keep your home clean and will answer your questions and meet your needs. Having been awarded for the best service by our local newspaper eleven years in a row, you can count on us when it comes to service for your home's plumbing, heating, AC, and electrical needs. Call us or book a service online today! 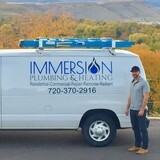 Hello from Immersion Plumbing & Heating! My name is Andrew Clay, proud owner of IPH. I am a Colorado licensed Master Plumber #00600351, a licensed Plumbing Contractor #0003655, and licensed Mechanical Contractor #22453. I have been working in the plumbing and heating trade industry for over 22 years. Throughout the years, I have developed extensive field experience in countless residential and commercial applications; providing plumbing and heating services for home repair, remodeling, and new residential and commercial construction. This experience has given me the confidence to successfully serve my customers with knowledgeable, correct solutions. And to lead a team that gets the job done right! We specialize in all things Plumbing and all things Hydronic Heating. From faucet repair to water heater installation, we have the expertise to meet all your plumbing needs. In regards to heating, if you have a boiler that needs repair or replacement, or if you are looking to install a radiant floor heating system in your new home, contact us today for your hydronic heating needs! We are a certified NAVIEN Technician Specialist for Installation, Operation, and Service of all Navien tankless water heater and boiler units! Please view our website for more service details. We take pride in the great state of Colorado! 20+ Years of water heater installs and repairs in Denver. Find out how we can save you money! On cold Colorado nights, nothing is more comforting than a powerful hot water heater. Denver’s own Todd’s Water Heater Repair is here to make sure that this luxury is always available to you. As Denver residents ourselves, we know exactly how you feel about your hot water heater. Denver water heater repair services are always at a premium, but Todd’s offers fair pricing and a 100% satisfaction guarantee so that you can be sure your money is well spent. Our areas of expertise include: Water Heater Repair on all Makes and Models We are ready and willing to service any type of water heater Denver homes may contain. Always on the cutting edge of our industry but firmly rooted in a foundation of knowledge built through years of experience in the industry, trust Todd’s. Instead of fooling around with other service industry pros who aren’t water heater experts or ‘handymen’ who may do more harm than good, select experts dedicated to the service of your hot water heater. Denver’s climate dictates the need. Tankless Water Heaters Not just a trend, but a viable solution, the tankless water heater is becoming more common. But this kind of hot water heater requires a different sort of maintenance than standard gas water heaters or electric water heaters. Denver deserves a water heater service that stays current! If you are thinking of making the switch, let us guide you through the process. Water Heater Selection and Install If you are looking to replace your existing water heater with a new one, even if a gas water heater or a electric water heater, choose us. With extensive knowledge on the subject, we can guide you through the selection process with your desires in mind. Then we will deliver, install, and leave with your new unit fully functioning. We guarantee our work and always strive to provide the best service, focused on your needs. Give us a call today for all issues concerning Denver water heaters. Customer Service As the Denver hot water heater specialist, Todd’s is dedicated to serving a singular need. When it comes to your hot water heater, make sure you select a company that puts your satisfaction before their bottom line. Select Todd’s Water Heater Repair Denver. Embracing the service aspect of the water heater service industry, Todd’s is here for you! 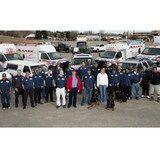 Ted Terranova started Aaark Heating & A/C, Inc. in the spring of 1984, and at that time he had (1) employee and (1) van. The services that Aaark offered were strictly limited to the service, repair and installation of residential Heating & Air Conditioning systems. Now today, after over 29 years of being in business, Aaark has more than (20) employees & (17) vans/trucks and has expanded our services to include: Heating, Air Conditioning, Electrical, Plumbing, Roofing, Gutters, Siding, Windows, Decks and all other Remodeling & General Contracting services for your residential needs. As a result of the continuous growth and expansion of our services, Aaark is now doing business as ‘Aaark Total Home Services’. Titus Terranova , Teds’ oldest son, joined the business is 1990. He served as an apprentice with an electrical contractor, which ultimately allowed him to obtain his Master Electrician License. He also served as an apprentice in Heating & Air Conditioning, where he later obtained his Master HVAC License. He then spent time working with a General Contractor, learning all phases of home construction & remodeling including; Roofing, Siding, Gutters, Windows, Decks, etc. In 2007 he then acquired his General Contractor License, which was the springboard for Aaark’s most recent expansion into the home improvement & remodel business. Since the launch of our home improvement & remodel business, Aaark has installed hundreds of roofs, miles of gutters and siding, done many basement finishes and kitchen & bath complete remodels, built a house from the ground up and completed a variety of other projects- large & small. You've got a plumbing need? 303-Plumber is the call to make! Leaky drain, a heating system that doesn't heat or a cooling system that doesn't cool, or maybe you're just tired of paying high water bills and need a more efficient plumbing system, whatever your need, make the call to Denver's Best Rated Plumbing and Heating Service Company, Time Plumbing. Time Plumbing's highly trained staff provides expert diagnosis and repair for all your plumbing, heating & cooling needs. McAdams Plumbing, Inc. is your residential plumbing and flood prevention expert. Our mission is to build a lasting relationship of trust with Colorado families through exceptional craftsmanship, reasonable rates, mutual respect, and commitment to our community through charity and environmental responsibility. Est. in 2009, the McAdams family offers award winning customer service and quality work providing our community with unparalleled value. Our licensed plumbers have been servicing Colorado for over 40 years and are excited to show you why with McAdams Plumbing, the Proof is in the Plumbing! One call does it all when you have Denver General Plumbing Heating Air take care of all your plumbing, heating and cooling needs. We can do this because we have low overhead & keep it simple, this allows us to beat our competitors pricing and save you money! 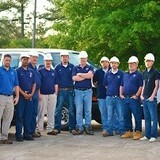 Our experienced staff takes care of all your plumbing, heating and cooling problems as well as maintenance and repair. Denver General Plumbing Heating Air, is family owned and operated. We are based out of Denver, CO and have been serving the greater Denver Metro area since 2013 with over 15 years of experience. There are a lot of choices for you when it comes to hiring someone to fix your plumbing or HVAC. Our HVAC Services include the entire HVAC spectrum of units designed for residential or commercial applications. Whether you need routine maintenance or emergency repair service, with confidence, you can rely on Denver General Plumbing Heating Air for all your HVAC needs. Our technicians live in the communities we serve and interact with our customers daily. Clients are never a number in a call center, but families and individuals that we know. For example, many homeowners personally know their service engineer since he has been servicing their home for a number of years. We also believe in respecting our customers’ time and we are always on time for each scheduled appointment. Having a licensed and insured professional work on your home or business’s plumbing and air conditioning is the only way to ensure reliability. We understand that these repairs can often be expensive, but our main goal is to provide top of the line services at the lowest rates available. We want to help our community live comfortable and get jobs done in an honest and professional manner. SInce 1987 McComb Plumbing in Denver, Colorado has been serving the community with their high quality plumbing services for the most competitive prices. For any of the following, be sure to contact McComb Plumbing: emergency plumbing 24/7, water heater service, sewer service, drain cleaning, clogged drain, drain repair, hydrojetting. If you are searching for the best plumber in Denver, CO you will definitely be impressed when you choose to hire McComb Plumbing. After more than a decade of plumbing services in Colorado springs area, we're proud to say COS Plumbing companies is at your service day or night. We have experienced technicians on-call 24/7 because no one decides when they have a plumbing problem. From routine maintenance to burst pipes and drain cleaning, we're here to help. Done Plumbing & Heating has been serving the Denver Metro area for over 15 years. Our licensed, insured, and background checked technicians specialize in all plumbing, sewer, heating, air-conditioning, and ventilation for residential and commercial properties. If you are looking for dependable plumbing, heating, and cooling services in Aurora, turn to Quality First Plumbing & Heating. Our team of fully licensed and insured technicians handle everything from AC repairs to boiler replacements. Because we know you’re busy, we’re always on time and finish the job in the allotted time frame. Additionally, all our work is guaranteed. We are Colorado’s first licensed GreenPlumber and have received an A+ rating and Gold Star from the Denver Metro BBB. If you’re ready to enjoy your home again, call today! We guarantee our appointments. A plumbing contractor handles the installation and repair of water, sewage and natural gas pipes throughout a home, as well as interior and exterior faucets and fixtures. Plumbing contractors are also trained to work with water mains, septic tanks, laundry appliances, water heaters, sump pumps and other plumbing and pipe systems. Because plumbing repair work is done largely behind walls and beneath floors, some plumbing companies can also patch or replace tile, stonework and other surfaces. Although some Highlands Ranch plumbers are generalists, others specialize in specific areas; a 24 hour emergency plumber will handle urgent residential repairs, while others may be more skilled in remodeling, natural gas lines, overhead sprinkler systems and more. Find a local Highlands Ranch plumber on Houzz. Narrow your search in the Professionals section of the website to plumbing contractors in Highlands Ranch, CO. You may also look through photos of Highlands Ranch, CO projects to find a licensed plumber who has worked on a project similar to yours. Here are some related professionals and vendors to complement the work of plumbers: General Contractors, Septic Tanks & Systems, Kitchen & Bath Designers, Kitchen & Bath Remodelers.